Wow! Where to begin? Rob furnished this site with 50+ photos and at least 100 newsclippings. I can't post them all without changing servers, so I'll try to find the best. 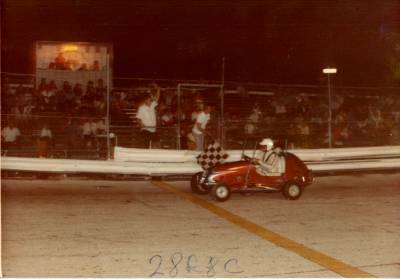 Here is Rob's first racer, an Anglia that was a joint effort with lifelong friend, Dana Barlow. 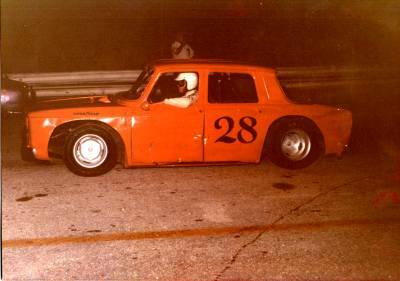 After running this car at Hialeah, Rob soon became a Renault fan. 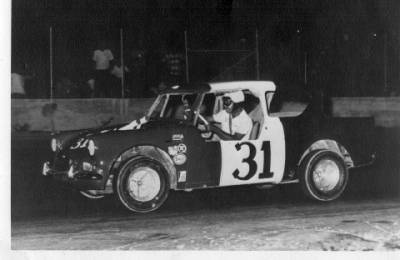 He built a long line of Renault mini-stocks while Dana stayed with the English Fords. Rob says the Renaults were very light, not to mention cheap and abundant! 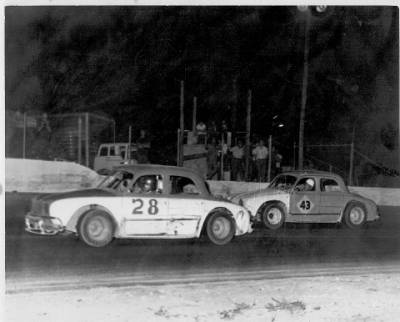 Remember when Hialeah Speedway wasn't surrounded by urban sprawl? 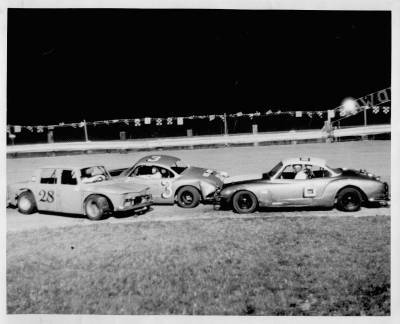 Here Rob lines up in summer, 1969. 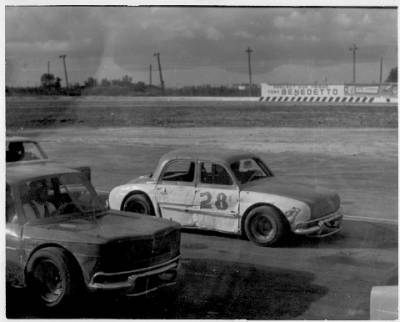 Harold Perry, who is still active as a car owner, mixes is up with Rob at Hialeah. 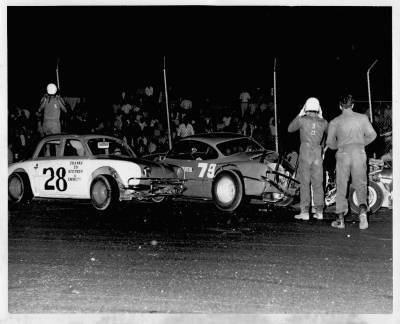 April 26, 1969 was one of those nights! 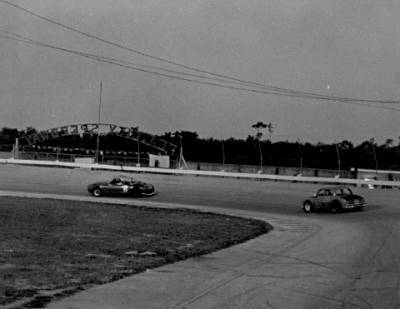 Rob was the president of the group that reopened the track in October, 1970. They fixed up the place by raising the wall around the track, revamping the concession stand and other improvements. It is not easy to work with a committee, but Rob's patient manner and hard work helped guide the track through this new beginning. 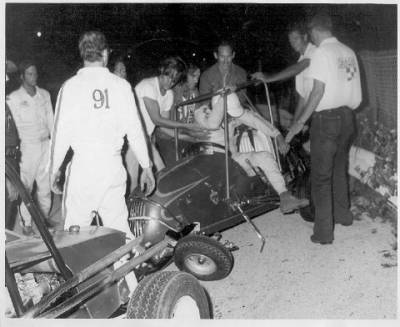 When Rob was president of the SMRA, he stepped out of the car to concentrate on running the show. 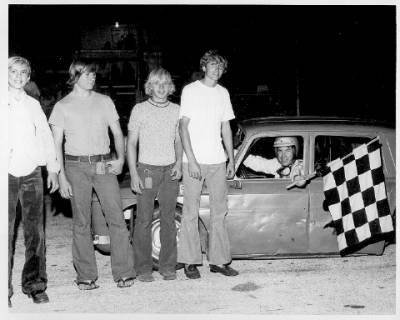 Here his driver Art Dahlberg wins in one of Rob's potent Renaults. 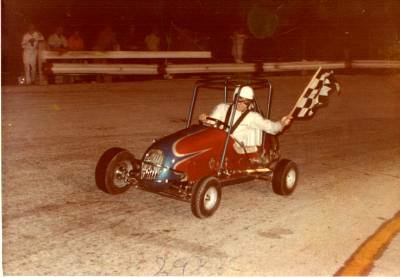 Things were not always perfect between the SFRA, the TQ sanctioning group, and the mini-stock club, the SMRA. Rob was an ambassador who tried to bridge this gap. 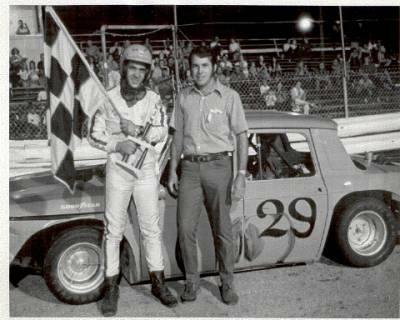 While racing mini-stocks, he joined the SFRA, won a position on its board, and became the owner/driver of this beautiful car. One week after scoring his first TQ win, Rob backed it up with another! Sooner or later, it happens to everybody. 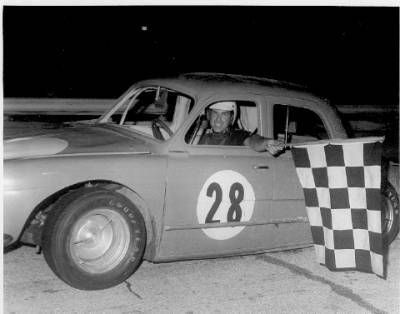 There were lots of modified "A" class wins through the years. I love this picture! Rob and Joe Lessera (3) discuss recent developments as Raleigh Beatty (8) joins the scene. Raleigh Beatty leads Rob through the hard left that was turn 1. Every neighborhood should have a race shop like Robs. Here he is shown with his hard-working crew, a collection of the neighbors' kids. Rob says the kids were the ones who often convinced him to get off the couch and get to work out in the shop! 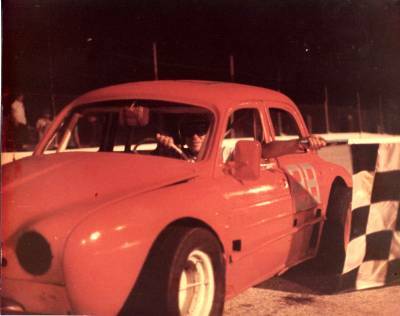 Its 1973, and Rob would soon head off to Hialeah to run a Late Model that he built. Robbie Bean has turned into a lead-footed racer like his old man. 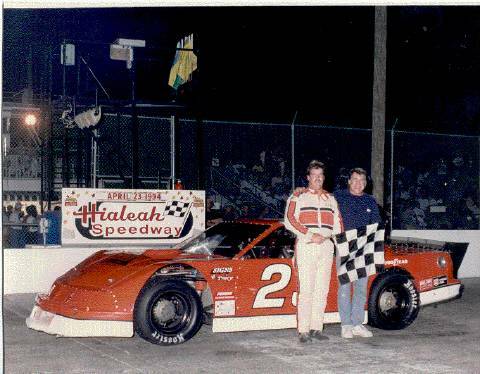 Here the father and son team is shown after a Late Model feature win on April 23, 1994. Together, they are currently running a limited schedule with the potent Outlaw Modified series.